Caritas Salford – The Barlow is a Caritas school and each year we send money that supports them in their work. 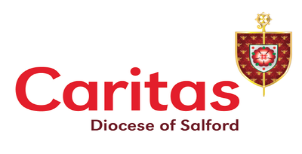 Caritas helps our own community in the Diocese of Salford with the vision that the lives of all people should be free from poverty, disadvantage and discrimination and the aim of helping the most vulnerable children, young people and adults in our communities to transform their lives and fulfil their potential. Francis House – Based in Didsbury, Francis House is a children’s hospice that offers respite for families and care for children with a short life expectancy. In February 2014, our students presented Francis House with a cheque for £500. Cornerstone Day Centre – At The Barlow, we raise money for Cornerstone Day Centre to help homeless people in Manchester. This year we have already sent food parcels to help them in their mission to eradicate homelessness in our community. 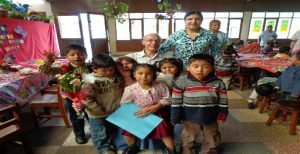 Bolivian Orphanage – In partnership with Lynda Waine, one of our School Governors, we raise money throughout the year to send to Cochabamba in Bolivia to buy much needed school supplies and equipment for orphaned and abandoned children. We have already sent more than £600 raised during our Christmas Mission in Advent. 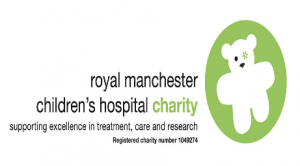 The Royal Manchester Children’s Hospital – Many of us at The Barlow now have been looked after and treated by this hospital or we know someone who has. We are so lucky to have a hospital like this in our own community and it does so much to make the lives of sick children and their families easier. We gave some of this this money to Steve Burns Rooms at Ronald McDonald House as well. We sent £800 to these charities in January 2019. 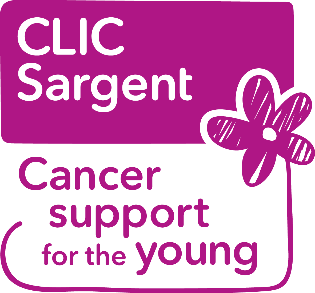 Clic Sargent – CLIC Sargent fights tirelessly to stop cancer destroying young lives and they base their work around day to day support, financial help as it costs around £600 extra per month to have a child in the family being treated for cancer. They also have houses near cancer treatment hospitals so that families can stay together during months of treatment and extended hospital stays. Cancer shatters young cancer patients’ education, social lives and future prospects and CLIC Sargent helps them get their lives back on track, both during and after treatment. If the worse happens CLIC Sargent supports the families, friends and schools to prepare and then supports them after the loss of that person. Out staff and pupils felt this was a worthy charity as cancer has touched so many of our lives. We sent this charity £700 in January 2019. 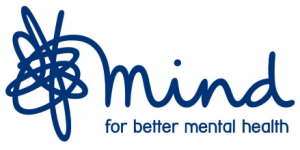 CICRA – This little known charity works tirelessly to help children who suffer with IBD and this charity was chosen, after being nominated by many Family Groups, as Mrs Lutman spoke of her own son and the impact this charity has helping her son with his early onset Crohn’s Disease in our assembly. We sent this charity £700 in January 2019. MacMillan Cancer Support – In September 2018 we joined the rest of the nation and had a special bake sale in school to raise funds for MacMillan Cancer Support. We raised £240. The GIFT Team and staff did A LOT of baking for this! It was so successful that we are planning another later in the spring term, this time to raise money for Dementia and Alzheimer’s Charities.